Mark is born in Glasgow and grows up in Kilwinning and Irvine, 30 miles south of Glasgow. Mary grows up in Uddingston, a village near Glasgow. Mark and Christopher Hall form a band called United Nation and record five songs. From 1994 Tokyo Classified readers are able to place ads using an online BBS system. As the Internet grows in popularity Mark & Mary start Crisscross Internet, one of the first Internet Providers in Japan. 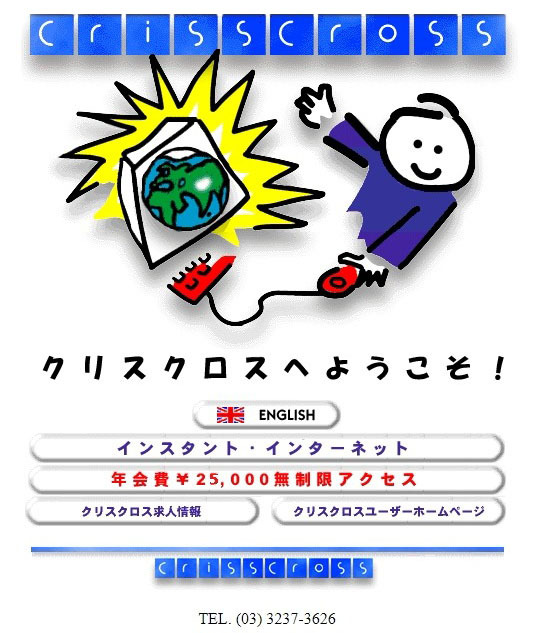 Crisscross’s “Instant Internet” allows anyone to access the Internet by calling a premium-rate telephone number from their modem for an per-minute fee of ¥20 (approx $0.2). 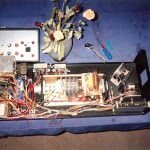 The business grows rapidly and gains over 5000 customers. Mary takes Claudia Winkelman on a tour around Tokyo, eating sushi, playing Dance Dance Revolution and singing karaoke. All these ads came from the readers, so the readers made the magazine bigger and bigger. We want to really promote the idea that foreigners and Japanese people can come together and start to talk about things and make better communication. 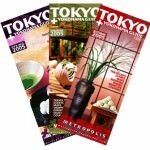 In 2001, Tokyo Classified had grown to 48 pages/week and was renamed Metropolis. More information was added about Tokyo entertainment and lifestyle. A quarterly city guide for tourists was added. Mark receives media attention for a screenplay he has written about the relationship between Yukio Mishima, one of Japan’s most famous authors, and Henry Scott Stokes, at that time a foreign correspondent for the London Times. Mishima, the writer of Confessions of a Mask and The Temple of The Golden Pavillion was an outspoken bisexual ultranationalist who believed in the divinity of the Emperor. In an attempt to save the sould of Japan he formed his own army and in 1970 staged an abortive military coup in Tokyo, which ended with his ritual suicide. Stokes later becomes Mishima’s biographer. The screenplay can be downloaded here. 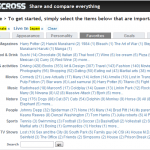 Crisscross Social Network is launched. The site uses a sophisticated drill-down search to connect people with the multiple, diverse interests. The system grows to over 30,000 users, mainly in Japan. It was not until 2012 that sites like Facebook offered similar “graph search” functions. In 2012 the site was being prepared for relaunch in the U.S. as CRXSS, a social search engine. 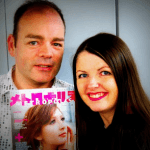 The Devlins sell Japan Today to GPlus Media, a Tokyo-based publishing company known for Real Estate Japan and GaijinPot, a community site for foreigners in Japan. The Devlins start Kroaky’s, a private room karaoke club. 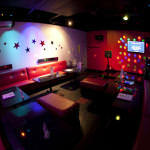 Private karaoke rooms, or “karaoke box” are a popular concept in Asia and there are a handful of places in America’s larger cities. Kroaky’s is the only such club in a small city. The Sarasota store is to be a model for a franchise business that will take the private room karaoke concept across the U.S. After a few months a public lounge is added. WeCheck launches officially just after Barack Obama’s speech to the Democratic National Convention. At this point the site is made up of speeches that are tagged with “WeCheck” tags, which highlight claims, logical fallacies and inconsistencies in the text. The site runs on MediaWiki software, the same software that Wikipedia uses. As the election gets nearer the site focuses more on providing a neutral playing field where people of all political persuasions can come together to fact check politicians and pundits — a kind of Wikipedia for fact checks. The site also includes a Fact Check Watch section which highlights the bias of “fact-checking” sites such as Politifact and The Washington Post fact checkers. As a way to better understand the conflicting stories around the September 11, 2012, attack on the U.S. mission in Benghazi, Mark starts 2012 Benghazi Attack Timeline. The page grows rapidly into the most comprehensive timeline of the attacks and moves up Google’s search engine results until it is the second link. Mark relaunches the site as Newslines, and moves the site focus to news timelines. 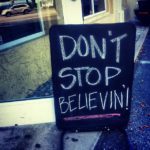 The site now runs on WordPress. Mark goes to Japan for six months in an attempt to get paid for Metropolis magazine. 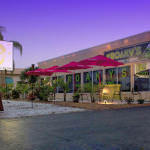 After five years, Kroaky’s closes. Newslines reaches 15,000 approved posts, with 250-450 posts being approved daily. The largest number of approved posts in one day was 533. The site has over 400 writers on its waiting list. The $1-per-post program finishes. Since May, 2014, Newslines writers added over 26,000 posts and received over $26,000 in rewards. The first part of Newslines’ revenue-share system — a system that allows qualified writers to become editors and to be paid for their edits — has been completed. The second stage of the system — which calculates the revenue share amounts for each post – is currently being programmed and is due for official release by the end of January. The Japanese government has set an annual target of 20 million foreign visitors to Japan in 2020 for the Tokyo Olympic/Paralympics Games and Fuji Media Holdings expects this will increase the demand for media targeting foreign residents and visitors to Japan at an accelerated pace. In the context of this trend, Fuji Media Holdings understands that there is a favorable opportunity to create several inbound/outbound businesses and thus welcomes GPlus Media and REJ into the group to strengthen its ability to reach the foreign community in Japan. After many years overseas running successful media businesses, we recently came back to settle in Scotland. We know that we can unlock the potential in the new media landscape but need to tap into skills and networks within Scotland and beyond. Dell’s brand and scope gives us that additional ‘clout’ that we can’t achieve as a small scale-up. When we launched this programme we were confident that the Scottish scale-up environment was thriving. We were still pleasantly surprised at the quality and breadth of the entries, a testament to the future of Scottish industry. IbisVision and Newslines are very different companies but both are working in areas that are ready for disruption. We knew when we met with them that we could partner with them to help them thrive and I’m looking forward to working with them through the next year on our DellScotIgnite journey.